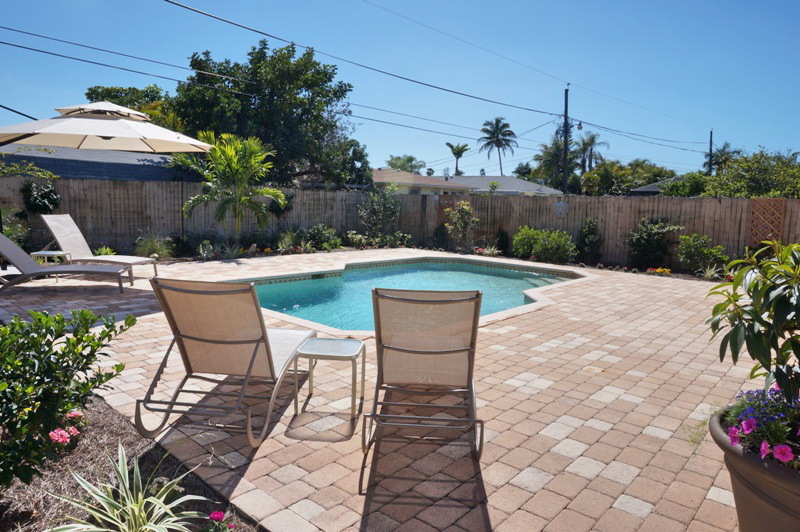 The best location to vacation in all of Naples! 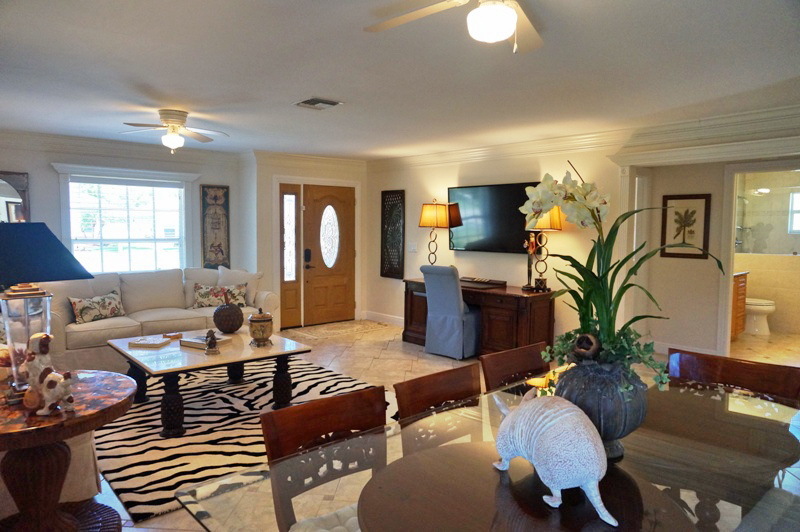 This beautifully furnished and decorated 3 bedroom/2 bath home is located 1/2 mile from the Vanderbilt beach and immediately down the street from the shopping and dining of the brand new Mercato lifestyle center, including Whole foods, movie theater and Trader Joe's. Inspired by main street style retail destinations, Mercato features more than 20 different shops, luxury condos and plenty of upscale dining establishments. It also has an organic market and is home to Silverspot Cinema, a state-of-the-art theater. From open-air movies to monthly musical nights and art exhibitions, this well planned shopper's haven is always abuzz with a variety of events. For those who prefer a culinary extravaganza to shopping will be delighted by noted restaurants like The Capital Grille and McCormick and Schmick's Seafood within the complex. 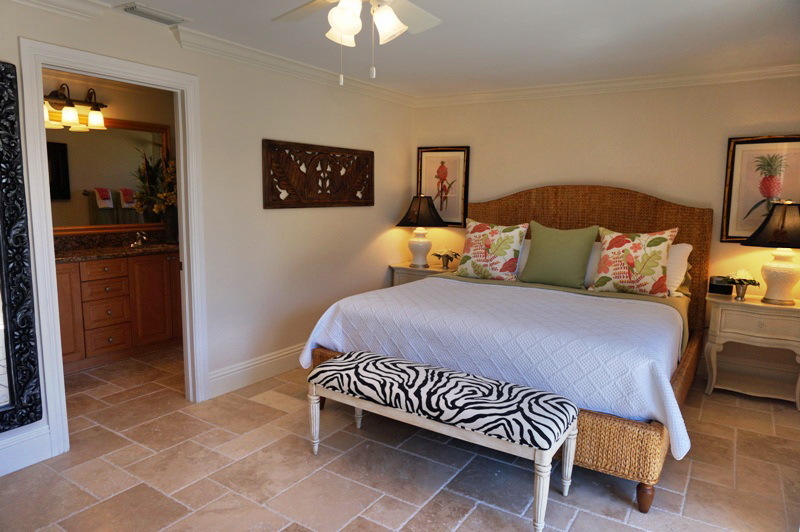 Feel like at home in the master bedroom with a king size bed and private master bathroom. 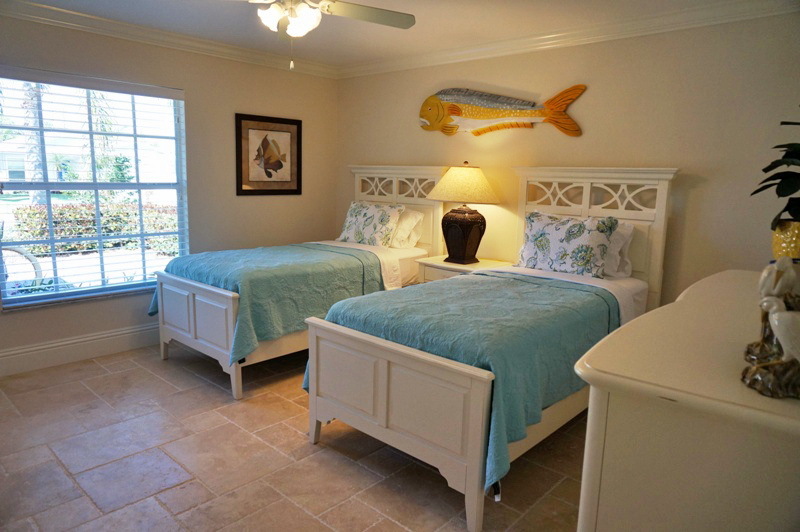 The second bedroom is furnished with a king size bed and the third bedroom has 2 twins. 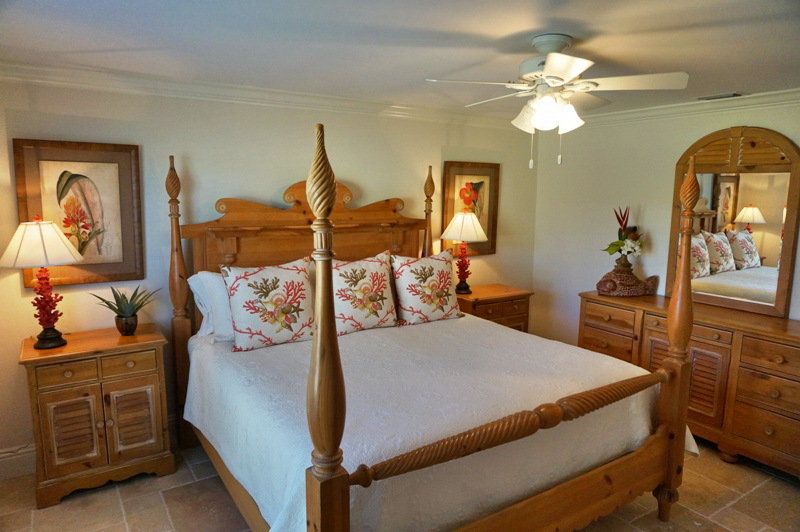 This home in the middle of its resort location presents everything you'll need on your vacation within true walking distance. 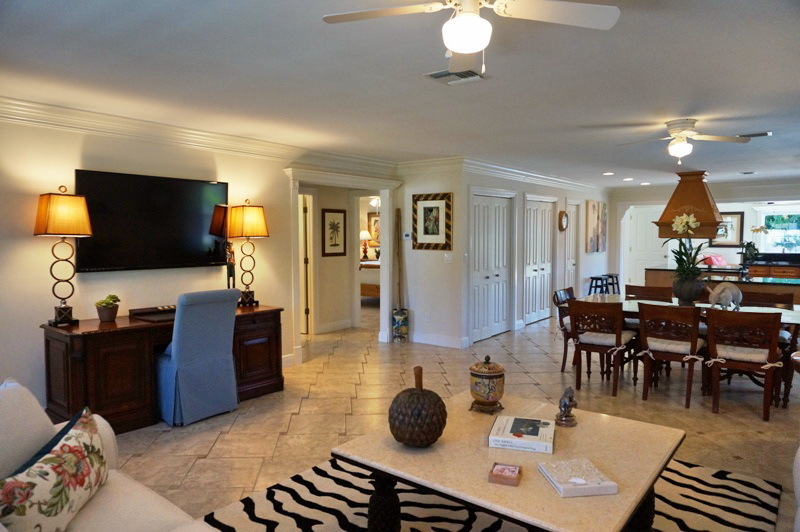 Everything is yours within 1 mile of this home including the Ritz Carlton. Steps to a scenic walk and jogging path that takes you around the beautiful Vanderbilt/ Gulfshore Drive areas and directly to the beach. 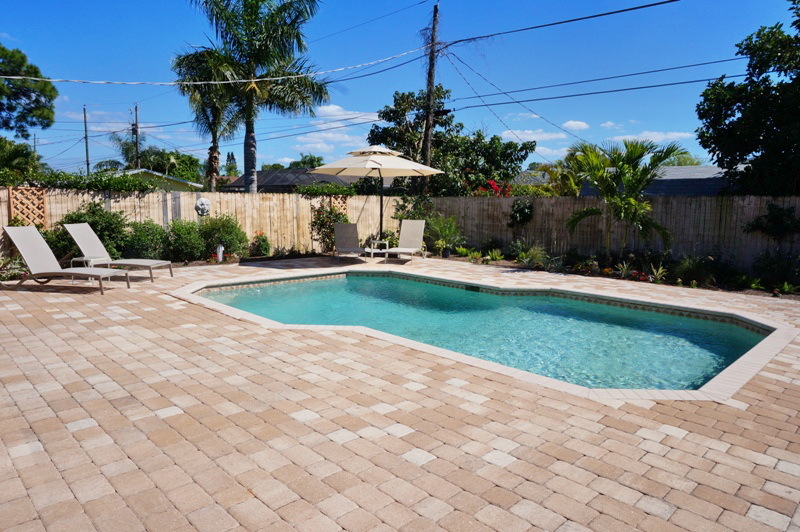 The Floridian charm of this home along with its updates, quiet fenced back yard, beautiful pool and location make for a truly relaxing, fun and enjoyable vacation in Naples. Come and enjoy the white sand beaches and forget how cold you were up north. 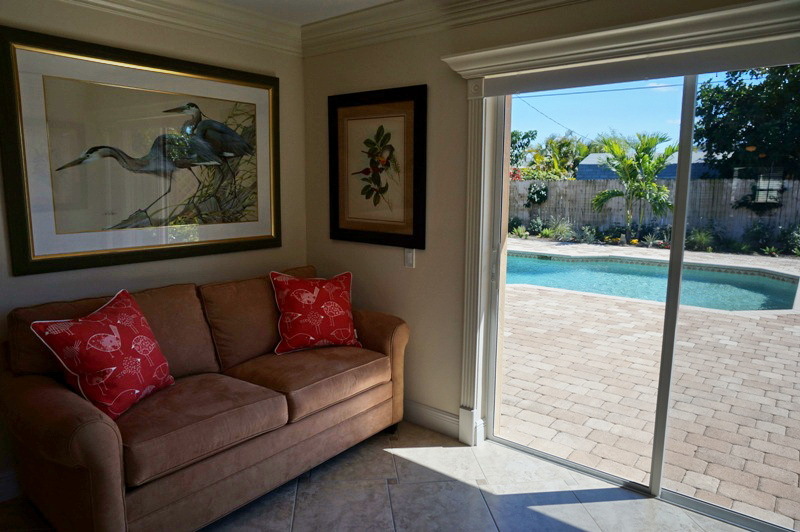 Sit on the Lanai, relax and enjoy a cocktail or a good book while watching the beautiful sunset. 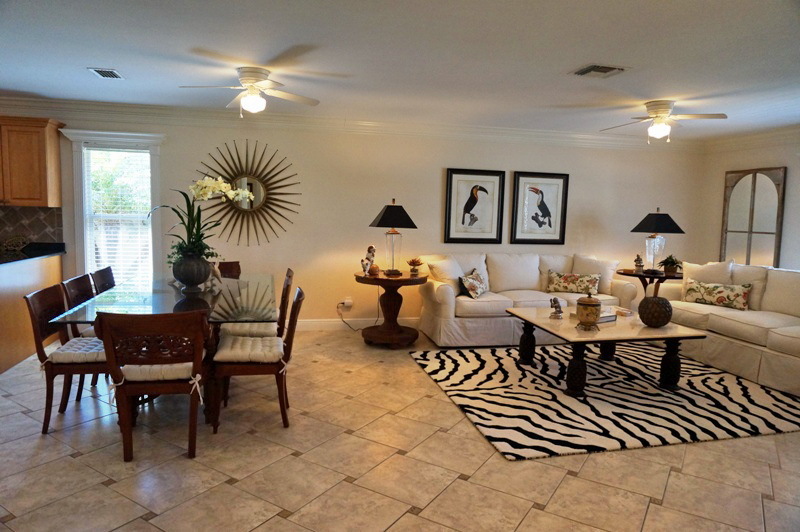 Beautiful & comfortable home w/ SUPERB Pool area! We just finished up 2 weeks in this lovely home! I can't tell you how hard it was to leave! 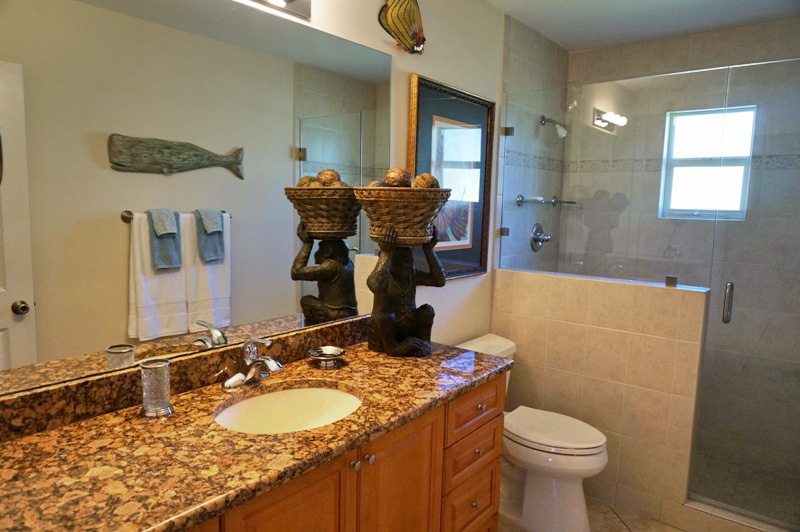 We found this house to be perfectly located, beautifully decorated, and thoughtfully appointed! (Just to name 1 detail - I loved the magnified make-up mirrors in both bathrooms! That's something that I always have difficulty without, when we go on vacations or trips!) 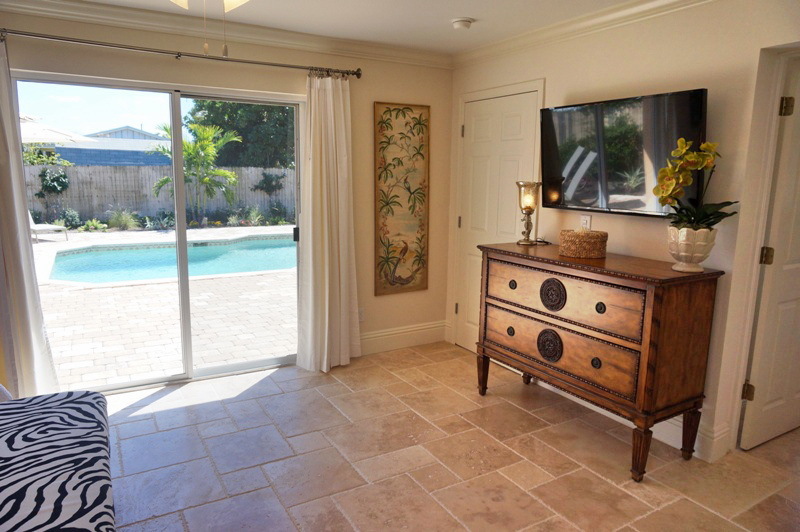 Between the pool & the landscaping, we felt like we had traveled to our own private oasis! We enjoyed dining at many of the very nearby restaurants... from happy hours to dinners, this area was perfect! Be sure to visit The Mercato directly across the road from this neighborhood! Shops, restaurants, spa's, luxury movie theatre, Whole Foods! Loved it! No need to go too far from this home to get to everything! We also loved walking to both of the beaches, and riding bikes throughout the neighborhood ... and even down to Mel's Diner for lunch! It was so pleasant at the house and around the pool area, that a few days we never even left home! We picked up some fresh seafood at Randy's Fish Market - just a couple blocks away, and used the gas grill, and dined by the pool! The kitchen is very well stocked with cookware, utensils, dishes, glasses... I can't imagine needing anything but the food! Some days it was a little cooler out - low to mid 60's, yet the southern exposure gave us all the warmth we needed, so were able to continue using the heated pool throughout the 2 week stay! We are from NY, and we had snow & much cold before our trip... It's possible, I suppose, that we were a little more easily pleased than some... just because we got to leave that mess behind. But honestly... this was the nicest place we've ever stayed, and we've been to Naples several times a year for the last 5 or 6 years! I can't say enough good things... we look forward to renting this home again! Fantastic Vacation Home! Loved it! From the moment we arrived at this beautiful home, our vacation was finally underway! The decor was absolutely stunning and inviting. 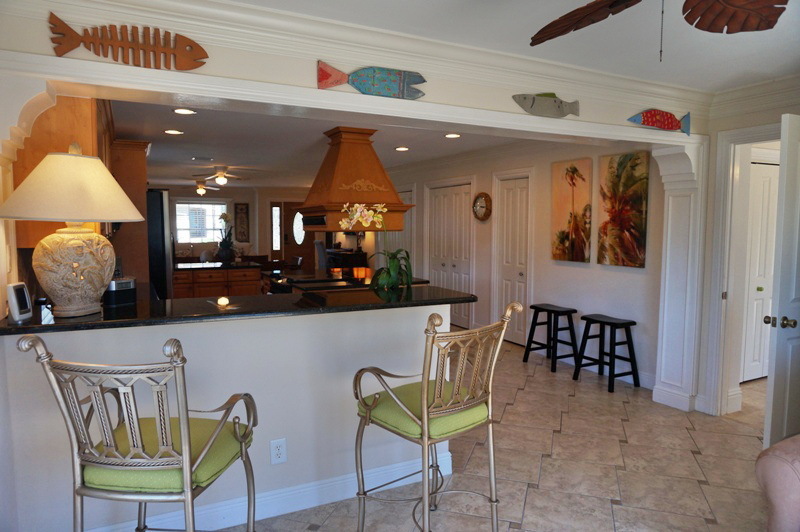 Not only was the home beautiful, but it had everything we could have hoped for in a vacation home. The linens were of the highest quality, the beds were so comfortable, the kitchen was appointed perfectly with everything we could possibly need to prepare a meal "at home". We really enjoyed the wonderful heated pool with the lovely, lush, tropical landscaping. Relaxing poolside is one of my favorite things while on vacation and it was the perfect setting. There were plenty of chaises, a nice dining table and a grill for cookouts, which we really appreciated. The multiple televisions (one in each bedroom as well as the living room) were a nice plus although we kept busy most evenings enjoying the nearby Mercato area. 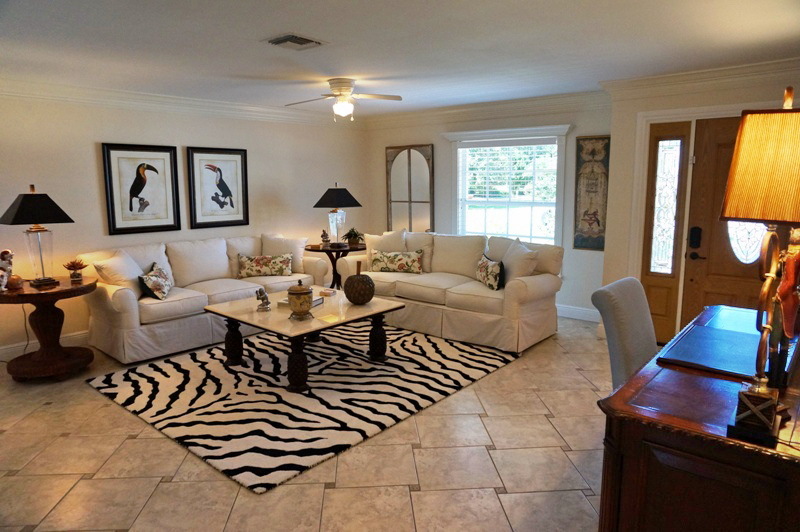 This was at the top of my family's list for vacation rentals and I have no doubt we will return! Oh..I almost forgot to mention...this place was sparkling clean, fresh and very new! We loved it!! A big "Thank You" to the owners who seemed to think of everything!! 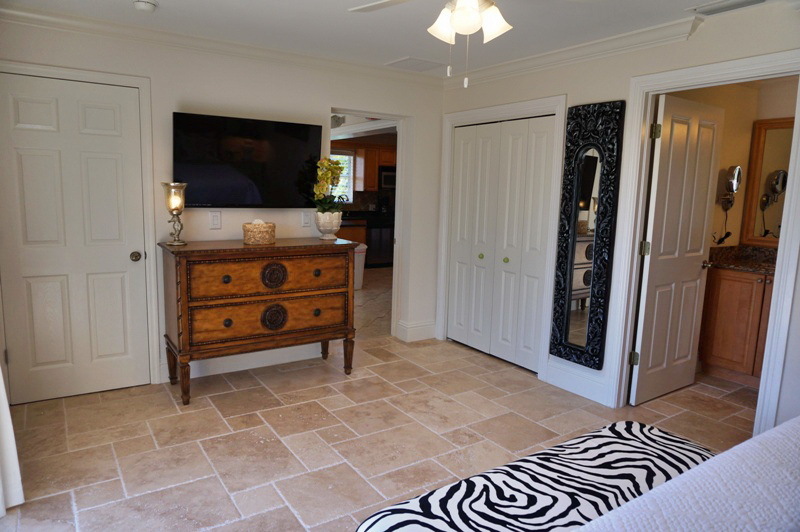 THE HOUSE WAS A GREAT SPACE.....LARGE OPEN ROOMS, COMFORTABLE TO ENTERTAIN IN, AESTHETICALLY APPOINTED, LARGE MASTER BEDROOM WITH TV, ENSUITE BATH, AND GOOD CLOSET SPACE. OTHER BEDROOMS WERE THE SAME. QUIET NEIGHBORHOOD CLOSE TO MANY RESTAURANTS, GROCERY STORES, RETAIL THERAPY, AND MOVIES. MUST TRY RESTAURANTS: BHA BHA; O'MEI, MICHELBOB'S FOR BAR-B-CUE, RANDY'S, HAROLD'S, AND I.M. TAPAS. THE BACK YARD WAS JUST BEAUTIFUL. WONDERFULLY LANDSCAPED WITH BLOOMS EVERYWHERE INCLUDING GARDENIA, PASSION FLOWER, AND BLOOD GRASS. THE POOL COULD NOT HAVE BEEN MORE PERFECT.. IN FULL SUN WITH SHADED SEATING AREAS. KAYAKING IN THE MANGROVES, SUNSET CRUISE FROM PURE NAPLES, GULFSHORE PLAYHOUSE AND THE MERCATO'S LUXURY MOVIE THEATER. 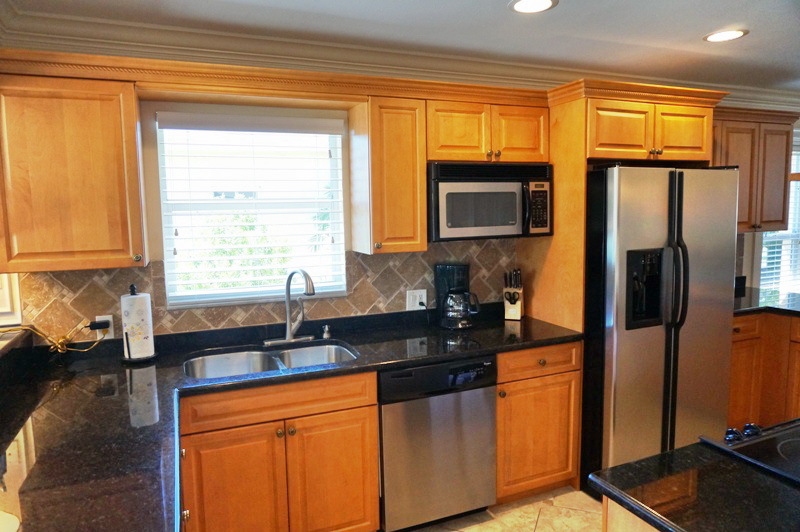 THE PROPERTY MANAGER WAS EFFICIENT AND ALWAYS AVAILABLE FOR ANY QUESTIONS WE HAD. 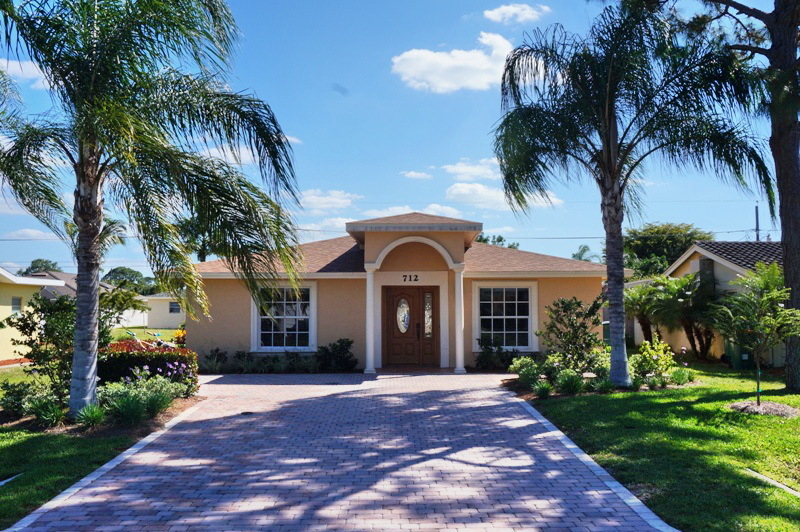 WE HAVE RENTED IN NAPLES FOR YEARS AND THIS HOME IS A KEEPER. My mother and I traveled from Cincinnati, OH for a fancy ladies' trip! This home was the perfect venue. 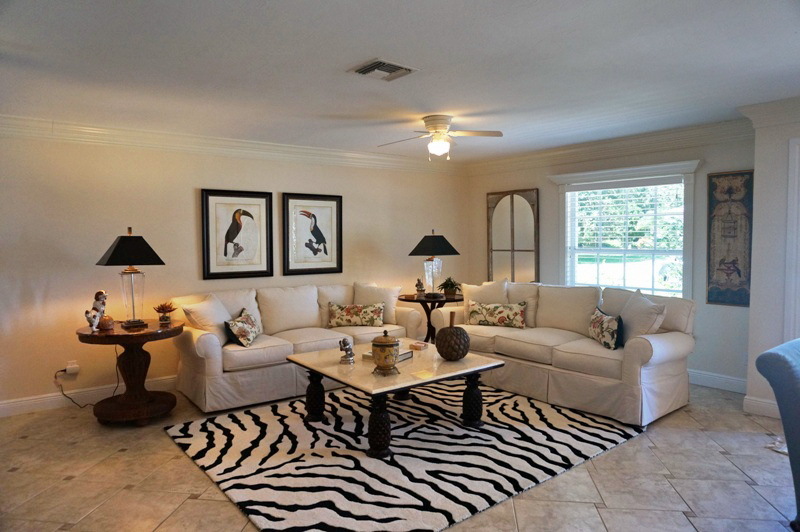 It is artfully decorated with functional, comfy furnishings. 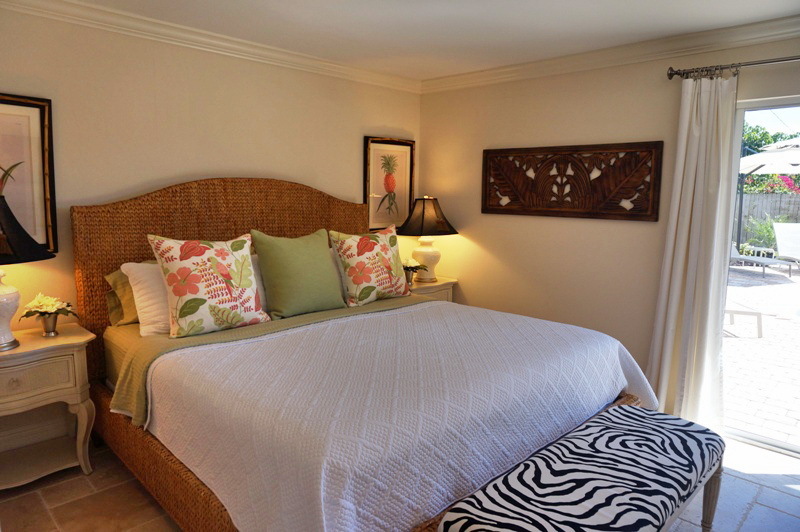 Especially the king beds! We slept better there than we do at home. 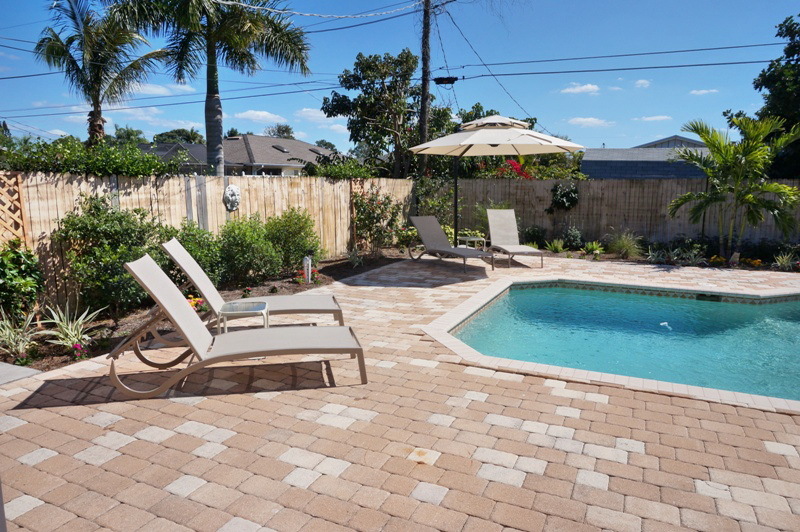 The pool/patio is like your own private oasis complete with chaise lounges and beautiful, flowering landscapes! 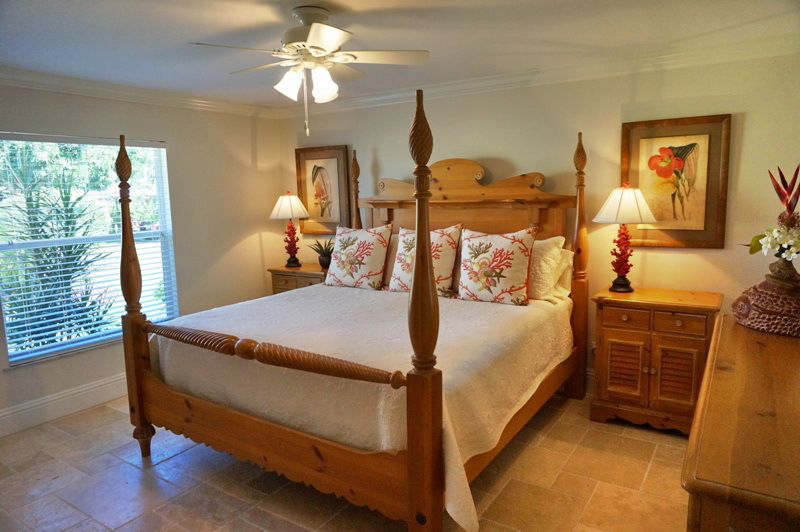 The place is also only a 2-3 minute drive to the beach and the owners have provided beach chairs, umbrellas, and coolers to create the perfect, easy beach day for guests. Being a fancy lady trip, shopping was definitely on our agenda. There was no shortage of fun places to browse such as Mercato and Coconut Point outdoor malls. 5th Ave. in downtown Naples seemed the place to be for dinners and we particularly enjoyed 7th Avenue Social- delicious food, great atmosphere, and a talented live band. I would certainly recommend this home to friends and family. We will return! 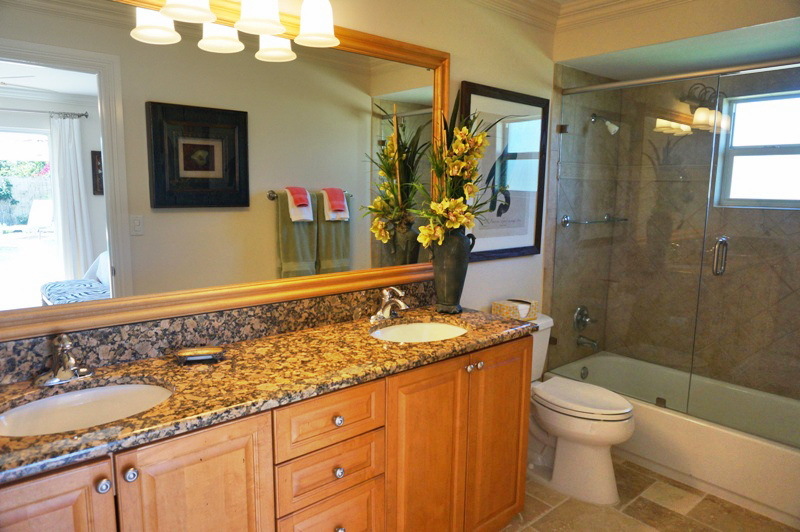 This home is just as beautiful in person as shown in the pictures. We visited in January. The garden around the pool was blooming, but it was too cool for swimming. The neighborhood was very quiet. The beds were very comfortable, and the kitchen was well stocked with dishes, pots, and pans. We had a lovely, relaxing vacation. THIS IS THE 4TH YEAR WE HAVE LOVED OUR STAY AT THIS HOME. EXCELLENT LOCATION. QUIET NEIGHBORHOOD. 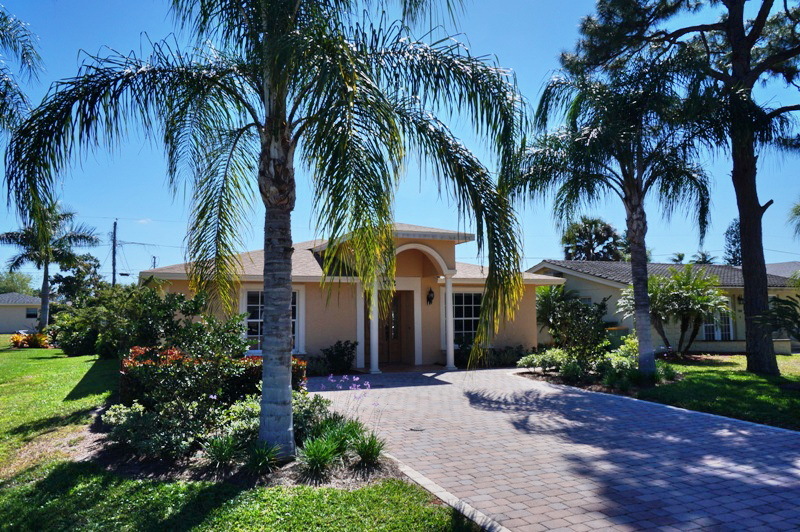 BACKYARD IS PRIVATE AND BEAUTIFULLY LANDSCAPED. INSIDE OF HOUSE IS COMFORTABLE AND ROOMY. GOOD READING LAMPS IN ALL THE ROOMS. CAN'T WAIT TO RETURN. We spent one week at this house and we had a wonderful time ! 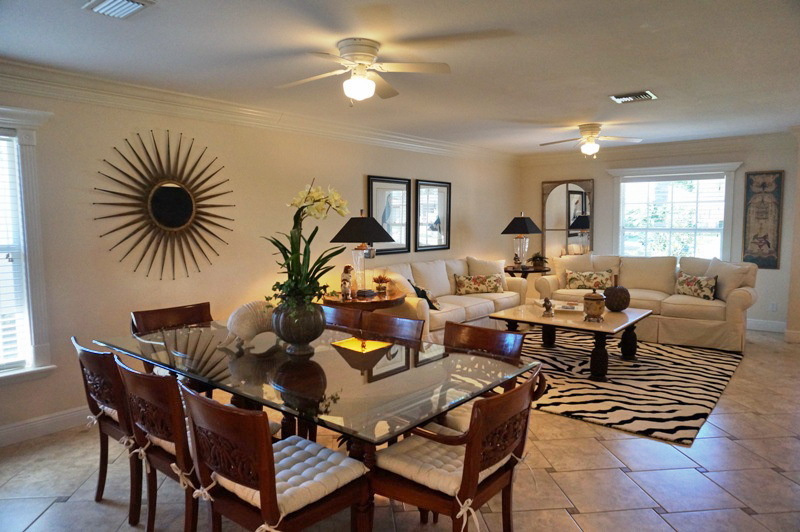 The place is spacious, very well equipped and the location is perfect. 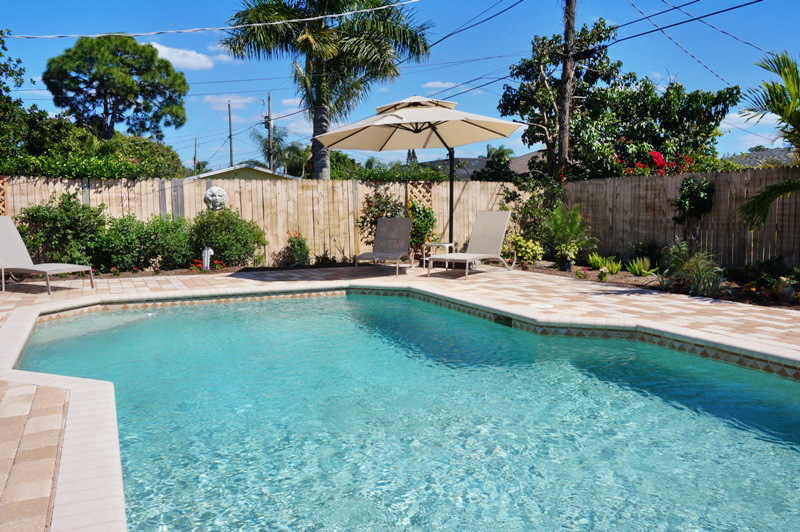 We enjoyed the pool and the quiet neighborhood as well as the numerous restaurants around ! Certainly a place that we will rent again ! Beautifu,inviting home. Great pool and patio. Immaculately clean.